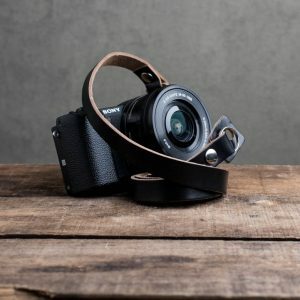 Our premium leather camera neck straps and wrist straps are handmade in England in a workshop that has more than 200 years experience making leather goods. 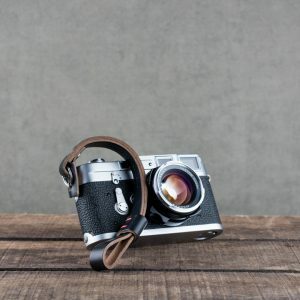 Each leather camera strap is handcrafted from the finest materials on Earth. 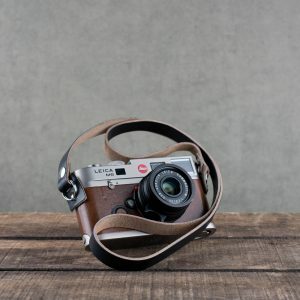 We lovingly handcraft each of our straps to work flawlessly on most modern and vintage cameras, including: Leica, Nikon, Canon, Sony, Fujifilm, Olympus and more. 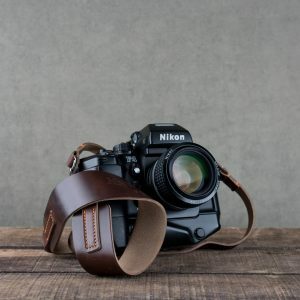 I can clearly, without hesitation, say that this is one of the finest leather camera straps I have ever seen or owned. The leather is soft, the stitching is flawless. As usual - you get what you pay for. 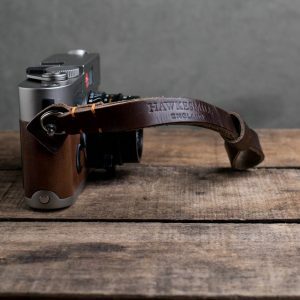 Several websites have already labeled Hawkesmill as the best camera strap in the world and I have to agree 100%. - Read full review. 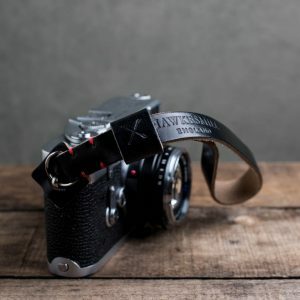 The Hawkesmill camera straps are incredibly well made, feel great, and overall have a nice appeal to them. They surely do their job and they do it rather well. If you want one strap that’s absolutely perfect and gives you room to make adjustments accordingly, then spring for these straps. - Read full review. Overall I absolutely cannot fault this strap so can comfortably give it a 10/10, and I'm generally fussy. Sure the price is high but so is the quality. Buy one of these and you’ll probably not need another for at least ten years. - Read full review. 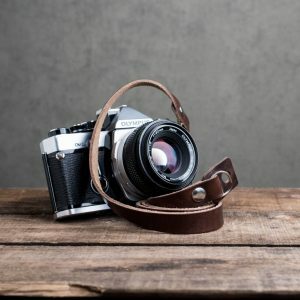 We are completely and totally obsessed with creating the best leather camera straps in the world. 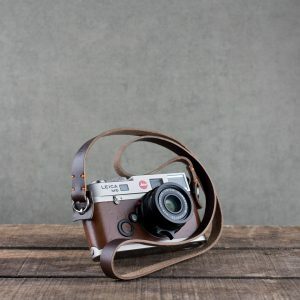 Each of our neck straps and wrist straps are handmade in England using the finest materials in the world, including Horween Chromexcel leather, the finest quality 304 stainless steel split rings and thick, polyester stitching. 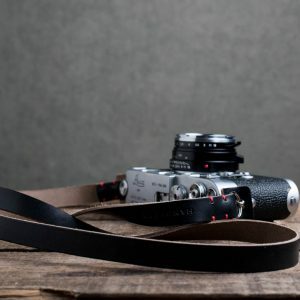 We make camera straps for Leica, Nikon, Sony, Fujifilm, Olympus and more. Crafting the best camera straps in the world take time and patience. The below should give you some information about how our straps are made and why we do what we do. 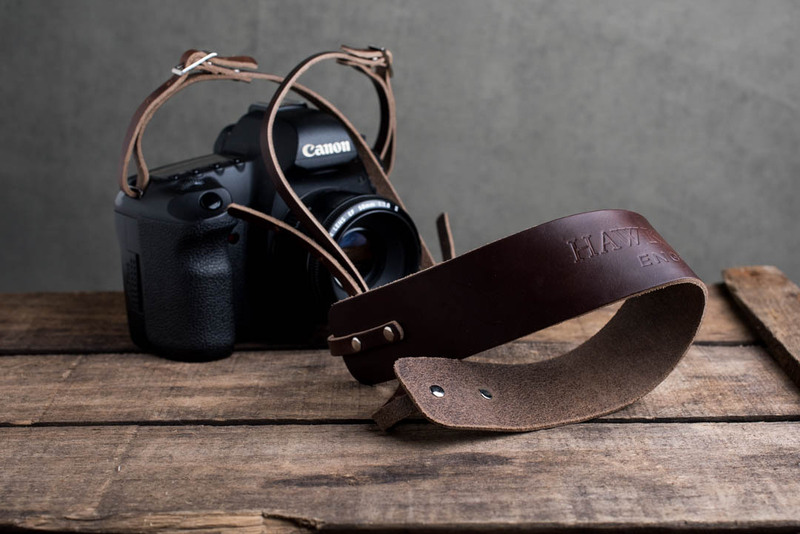 A brief overview of how we developed a range of the world's best leather camera straps. Of course, we understand that the word "best" is highly subjective. 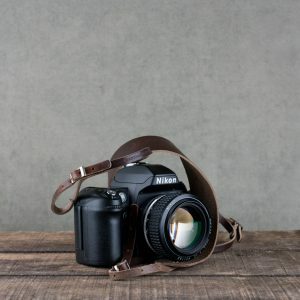 What one person thinks is the best camera strap could be very different than what another person thinks. 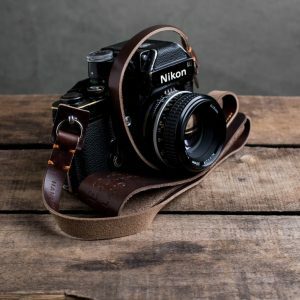 When we developed our range of camera straps we had the following criteria that we followed, in order to create, what was, in our mind's, the best camera straps on the market today: • A leather camera strap must be far superior to the stock strap provided by most camera manufacturers. • Straps must be durable. Those stock straps, although ugly, are very durable. • They must be soft. A camera strap that is not soft will not get used, or, if it is, it will be incredibly uncomfortable. 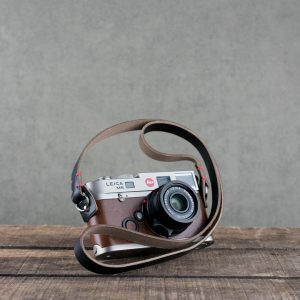 • A camera strap needs to fit a majority of cameras and not be so unique that it will only suit several brands. 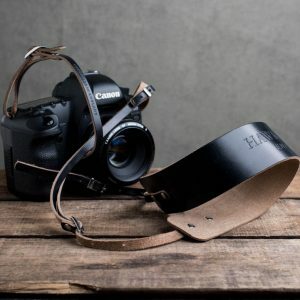 • Camera straps, especially a leather camera strap, must be beautiful. • And finally, a camera strap, like all things we make, must show its origins and provenance. 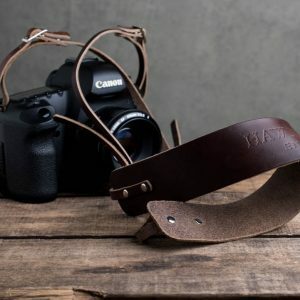 What's the point of upgrading from your stock strap if you don't get a genuine, handmade product? 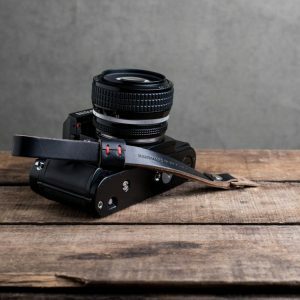 Each of our leather camera straps has been throughly thought out, sampled and tested before being put into production. We never produce a strap unless we believe it will benefit the user. After all, what's the point of making a strap that just sits in a drawer somewhere? We want our customers to use our products each day and get pleasure from them. That is the difference between a machine made, synthetic strap and a handmade leather camera strap. We have never met anyone that was proud and wanted to show off their stock, synthetic strap. 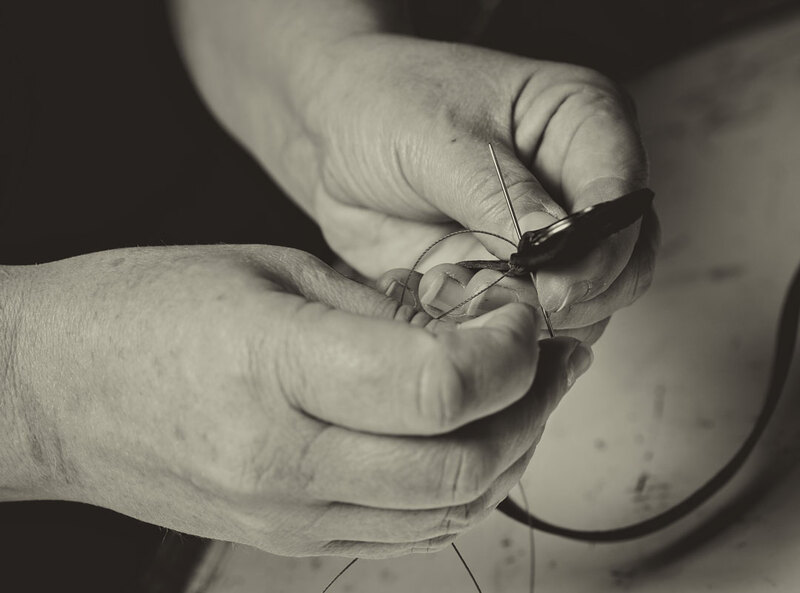 Producing the best leather camera straps starts with the people who make them. We are very proud of the fact that the people who make our straps make leather goods for some of the best fashion houses and designers in the world. 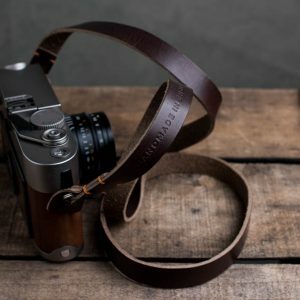 Our leather camera straps are made using Horween Chromexcel leather. One of the finest, softest and most durable leathers in the world. The tanning process alone takes nearly a month and is done in a 5-storey building in Chicago. We use corrosion resistant chrome plated split rings, made in England, that have been weight tested up to 42lbs before breaking. Although we don't recommend using it with those weights, obviously. 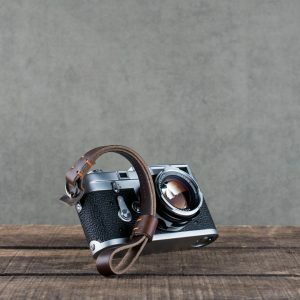 Our leather camera straps are made in a workshop in England that has more than 200 years combined experience in handcrafting leather goods. 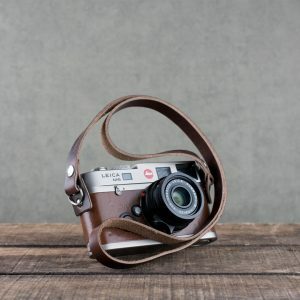 The above is what we believe makes the world's best leather camera straps. Your idea might be different. If so, leave us a comment. We're always interested in hearing from our customers, potential customers and anyone else. 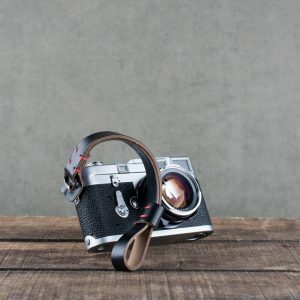 Over the past few years we have garnered a reputation for making some of the best leather camera straps in the world. The reviews we've had honour us, and we are constantly striving to improve on our leather camera straps, even in the smallest of ways. 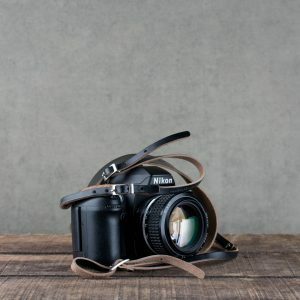 But one area we know we do not need to improve on, is in our choice of leather used on all of our current production leather camera straps. 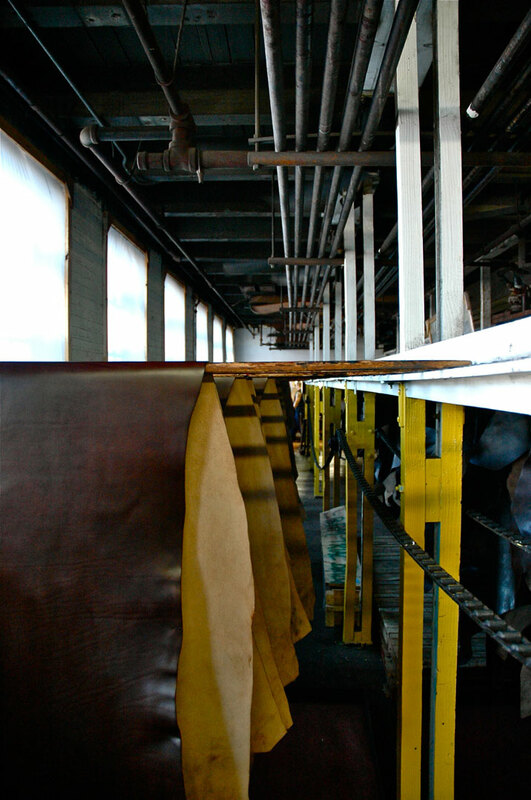 Crafting the best leather camera straps in the world starts with one vital ingredient: leather. Obviously! But, before we started Hawkesmill in 2012, we knew very little about the subject. In fact, we probably knew less than a little. We knew it came in multiple colours, it was either soft, or hard, or a combination of the two and it was either cheap or expensive, or somewhere in between. And that's about it. As our knowledge grew and we started making prototypes of straps, using a multitude of leathers we began to hear terms like: vegetable tanned and chrome tanned. There is Italian vegetable tanned and there is a combination of vegetable tanned and chrome tanned, etc. 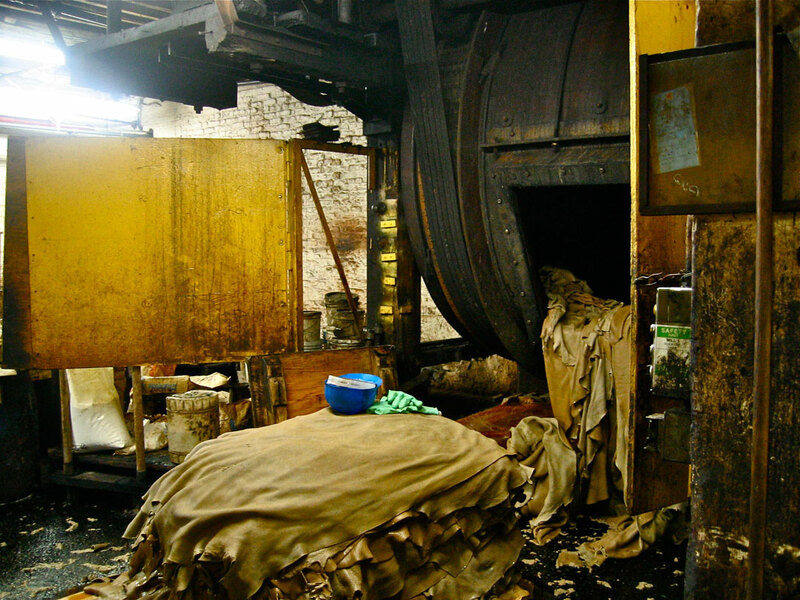 Over the last few years we've visited many tanneries around the world. We've felt and handled hundreds of leathers for possible use with both our camera bags and straps. And what we've determined is that the leather industry is a lot like the wine industry. They are both farming industries and more importantly, they are both intricate and confusing subjects. Moreover, like wine, the best leathers often command outrageous prices. We're often reminded of an old episode of "Colombo," called, "Any Old Port in a Storm", in which Lieutenant Colombo is trying to catch a killer who owns a winery, Adrian Carsini, played by the incomparable Donald Pleasence. Mr. Carsini is perhaps one of the most knowledgable oenophiles on Earth. and Colombo has to gain some knowledge about wine in order to catch him. He visits a wine store and asks the question, "how can I tell if a wine is good or not?" The man behind the counter, played by George Gaynes of "Police Academy" fame, pauses for a second and says in a poor French accent, "by the price." And it is no different with leather. Generally the more expensive the leather is, the better it is. Although like wine, this isn't always true and supply and demand plays a large role here. For instance, a bottle of a recent vintage Romanee-Conti will set you back a mind-boggling £15,000. Is it really that much better than a £100, or for that matter £50 bottle of Burgundy from one of the other well known estates? Perhaps not. But it will most certainly be much better than your average supermarket plonk for £8. It is the same with leather. You can spend almost any amount of money on a rare leather, such as: antelope, deer, water buffalo, or ostrich. 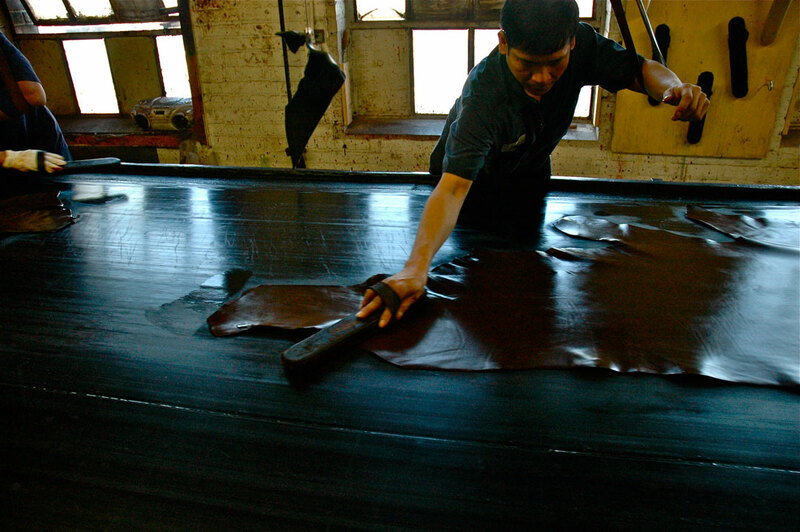 You can also find exceptional leather from very good tanneries for much less. It truly is a subject that can take years to learn and understand. It can all be quite confusing. Each week we get dozens of emails from customers and prospective customers asking us questions about the leather we use for our straps. So we decided to create this post in order to help answer those questions. 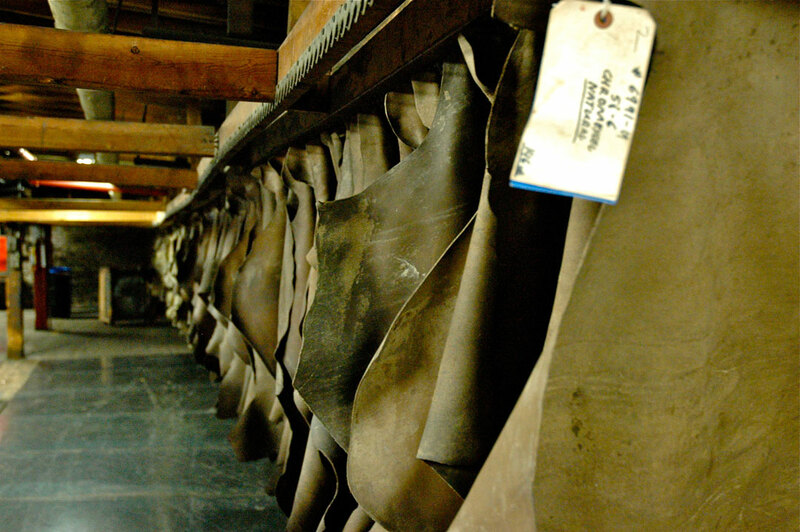 The questions and answers to these questions combine to help us make a more informed choice when choosing our leather. Answer: it is both vegetable tanned and chrome tanned. This is the reason for its durability and softness. Usually, vegetable tanned yields a malleable, full leather that patinas well. While chrome tanned produces a soft, supple leather that is incredibly durable. The entire tanning process takes 28 days. 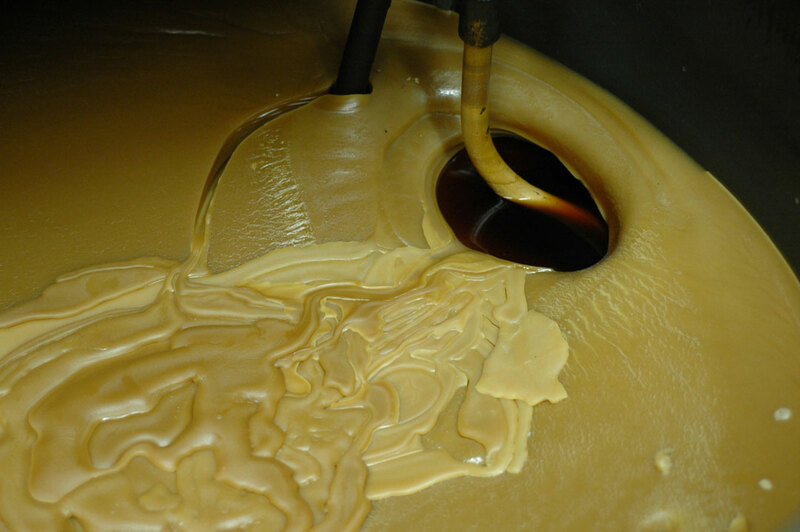 It is tanned entirely in its own 5-storey building in Chicago and it undergoes 89 separate processes during that time. Astounding isn't it? 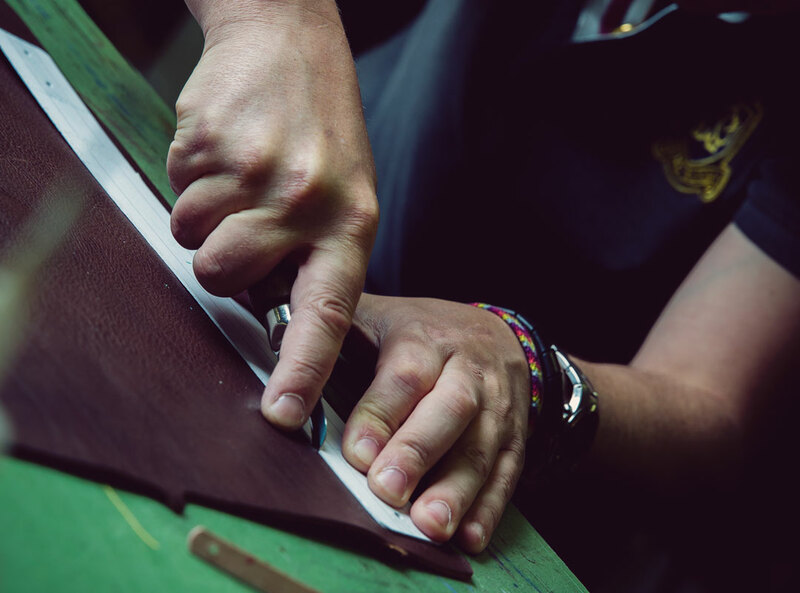 The above should give you a basic understanding and shed some light onto the most common questions we get asked and how we choose our leather. However, there is a lot more to learn. And we encourage all of our customers and potential customers to learn about this fascinating subject that has literally been a backbone of our culture for centuries. From Romans using leather sandals to forge their way across much of the planet, to the sofas we sit on at night, leather has been an integral part of ours lives for millennia. 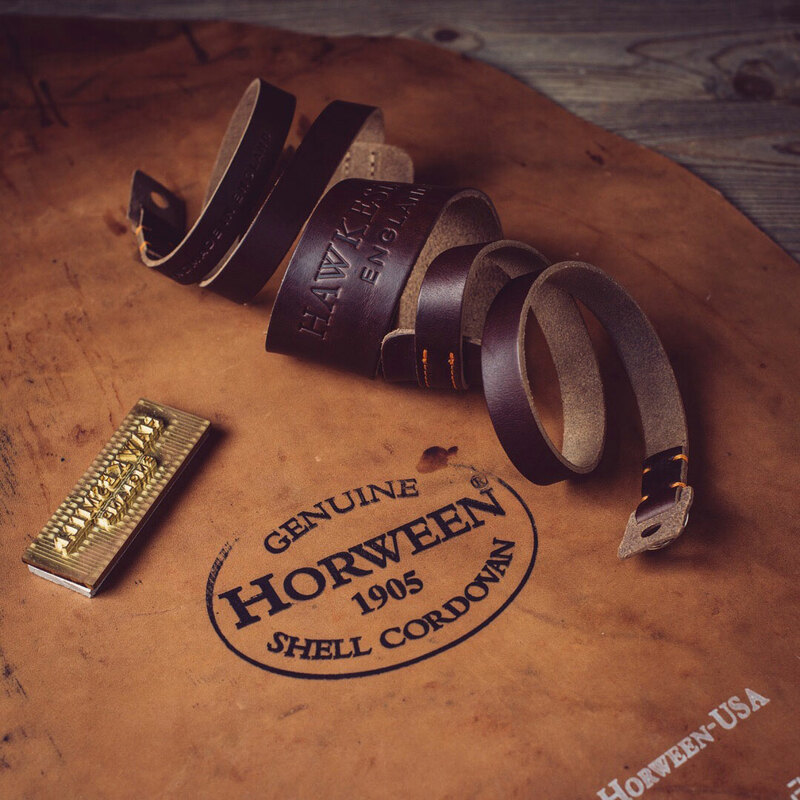 If you would like to read more about Horween you can visit their website. You can also have a read of their guide to Chromexcel. It is perhaps the best and most authoritative webpage on the subject. 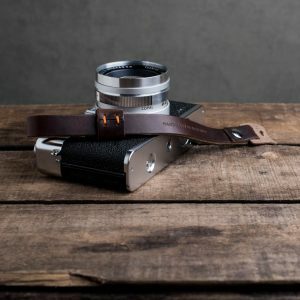 What camera strap works with my camera? We make leather camera straps for a ride array of cameras. But choosing which camera strap works for your camera can sometimes be difficult. Generally, modern Canon cameras have a flat mount, where a strap is looped through. Whereas, most Nikon cameras have a lug mount, which attaches via a split ring, also known as a key ring. However, these are not rules one can always count on. For instance, some entry-level Nikon cameras have a flat mount, exactly like Canon cameras. And some vintage Canon cameras have a lug mount, like most vintage and modern Nikon cameras. 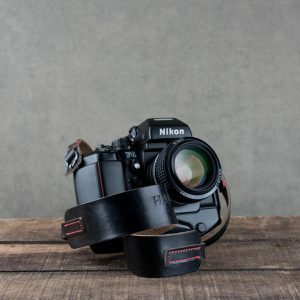 To make it even more difficult, Nikon, Sony and Fujifilm, amongst other manufacturers, provide a triangle shaped split ring as standard, which allows the user the ability to use a leather camera strap designed for flat mount cameras on their lug mount system. For example, one could own a Nikon D810, which has a lug mount system. 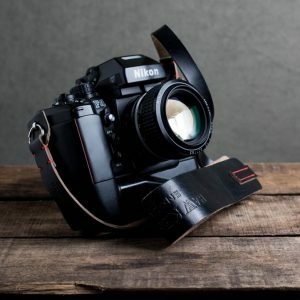 But Nikon has supplied a triangle shaped split ring, which when attached to the lug mount system, can be used with our Borough strap, which was designed for Canon cameras with a flat mount. 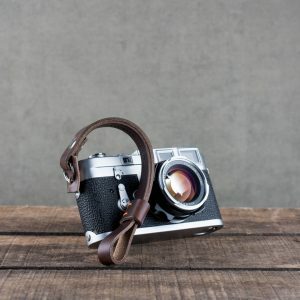 We have designed our Borough leather camera strap to work on all flat mount camera systems. Generally, these are Canon cameras, both vintage and modern. The below list comprises many of the most popular flat mount cameas available today. It is not a full list. That would be very long, indeed. This list should give you some examples of many of the flat mount cameras you are likely to come across. If you don't have a camera listed below, you can compare your mount system to the mount system of the camera listed below and that will give you a better idea of which mount system you have and what camera strap you shoud buy.